Congratulations on moving into a new office for Soonercleaning! Beijing Soonercleaning Co., Ltd. Was moved to southwest corner of Chaoyangmen bridge,East 2nd road of Beijing on 29th March, 2017. The office is with luxury decoration and pleasant environment. We appreciate general manager and vice general manager who is responsible for decorating and purchasing furniture and all of other staffs efforts and cooperation. The office is broad and bright, lining neat and elegant rows of desks, and shining sunlight through French windows on the floor, then you will can not help feeling so comfortable here. The environment just like our this young team who is standing in a new starting point and opening arms to greet a new beginning. Soonercleaning’s staffs stand out from the same industry with the attitude and philosophy of “ sincerity & trustworthiness, the pursuit of excellence, self-improvement and self-breakthrough “ after years unremitting efforts and pursuit. 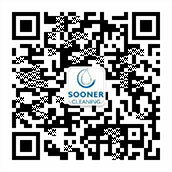 This movement marks another new level of Soonercleaning. We will be in a new look in our colleagues and serve our customers with new ideas and quality. We are ambitious now and will be full of pride in the future. We will be full of enthusiasm and good mental state to create a new glory and a better future through great efforts together from now on.